@hannahyeoh: a piece of land in usj 1 has been given by mpsj to the government clinic but mys health minister denies the plot of land. @hannahyeoh : a 1Malaysia clinic is different than a government's clinic; 1Malaysia clinics have no doctors. Cleanest election in the world? Subang jaya has 60k + voters whereas putrajaya has only 15k + voters. Gerrymandering much? @WongChenPKR : PR is not fighting for power but to create a two-parties nation where ppl argue on policies, not below-belt tactics. @WongChenPKR : we should liberalise media; ppl choose the type of media they like to listen, not a media controlled by the gov. @WongChenPKR : we should create a special bureau where foreigners can complaint about mistreatments by employers. @WongChenPKR : public transport should be de-centralized - handled by local council, not federal gov. 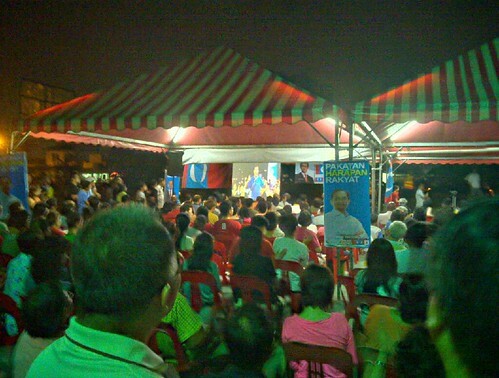 @hannahyeoh : we want to push selangor to be like Penang - to have local elections but SPR is reluctant to organise it. 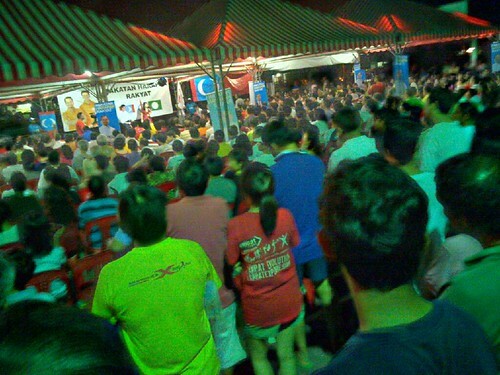 @WongChenPKR : one of the nonsense done by SPR - Paca names can only be submitted 50 at a time. We have 500, so we have to give 10 times?